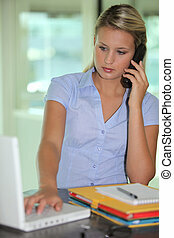 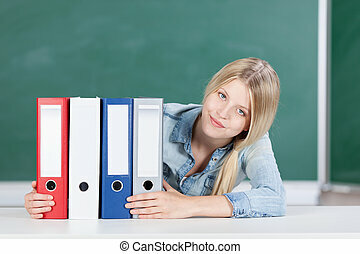 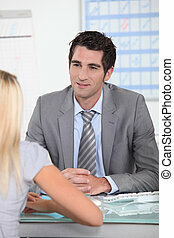 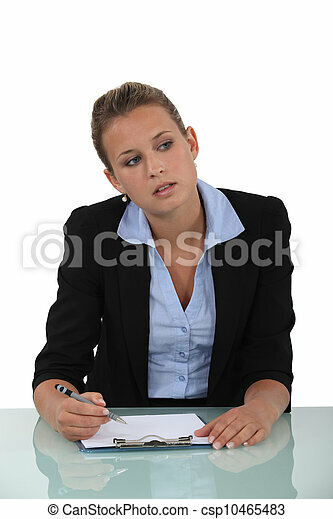 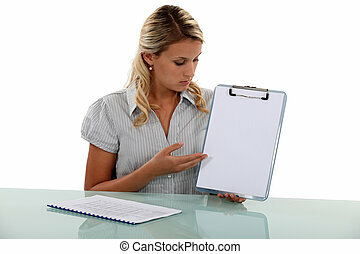 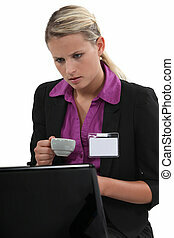 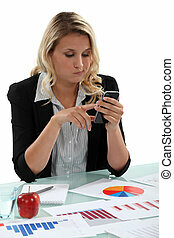 Blond woman sat at desk with blank clip-board. 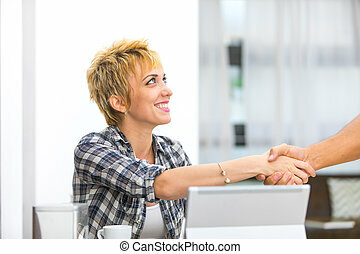 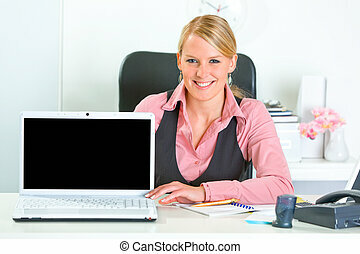 Smiling blond young businesswoman sat at desk resting chin on hands, computer in foreground. 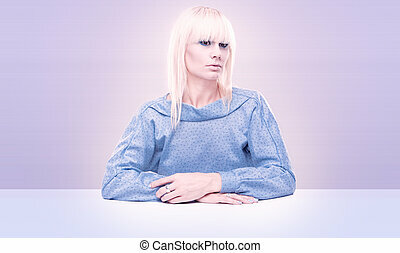 Attractive young blond woman seated at table with studio background. 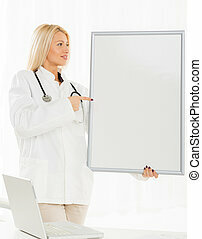 A pretty blonde girl in a white coat with a stethoscope over neck, standing in front of a table with a laptop, holding a blank notice board at which points a finger. 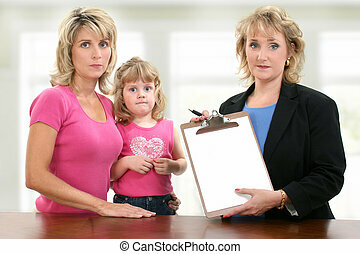 Parent teacher conference meeting at school with unhappy mom, child and teacher. 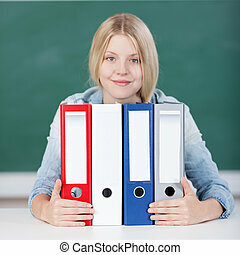 Teacher holding blank paper towards camera.